When it comes to ‘Dupes’, printing runs from just a few to many hundreds can be accommodated, just get in touch ! 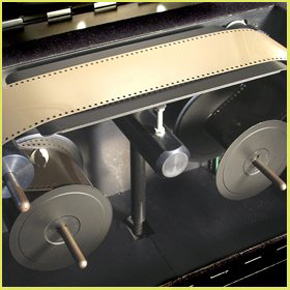 Production is on 35mm and 70mm film ( up to 6×12 Linhof panoramic medium format ). 35mm Hasselblad XPan users can also take advantage of 70mm film by having ‘blow ups’ made. If your requirements are out of the ordinary or use specialist formats, advice should be sought on custom set ups – just ask! All duplicates are printed optically ( not by contact ) using propriety duplicating lenses. These are produced on Fujichrome CDU II Duplicating film. Your slides and transparencies should be supplied unmounted as they will be removed from mounts for printing. Note: these 35mm duplicate slides are not suitable for pin-registered slide mounts … eg Wess mounts. 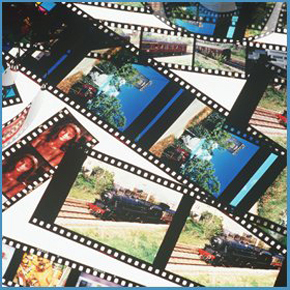 Available from 35mm & 120 (up to 120 / 6×9) transparencies. Total order quantity ( per original film format ) price per dupe. Supplied unmounted. Mounting extra: Quickpoint plastic mounts £0.20 each / Gepe A/N glass mounts £1.00 each. Available from 35mm XPan transparencies. Total order quantity, price per dupe. Supplied unmounted. Available from 35mm, 120 ( 120 6×4.5 up to 6×9 ) and 5″x4″ transparencies. Available from 35mm XPan and 120 6×12 transparencies.